January 23, Seattle, WA, American Booksellers Association Winter Institute, 6 pm. January 30-31, Elizabethtown, PA, Elizabethtown College, Thursday 4pm craft talk & 8 pm reading; Friday morning class visit. February 7, 2014, Provo, UT, Brigham Young University, Friday Reading Series, noon reading & 11 am craft talk. February 13-14, 2014, Huntsville, TX, Sam Houston State University, Thursday evening reading & Friday morning Q&A/craft talk. February 18, 2014, Indianapolis, IN, Indiana University-Purdue University Indianapolis, Cavanaugh Hall 508, 4 pm. February 20, 2014, Myrtle Beach, SC, Coastal Carolina University, Thursday reading, Recital Hall of the Edwards Humanities and Fine Arts Building, 4:30 pm. February 25, Chicago, IL, Lake Forest College, 7pm reading and podcast recording with Jacob Knabb. February 27 – March 1, 2014, Seattle, WA, AWP Conference, Washington State Convention Center & Sheraton Seattle Hotel. 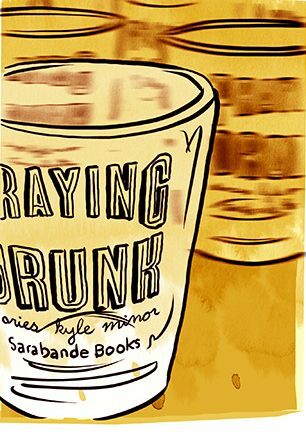 Sarabande 20th Anniversary Roaring 20′s Party & Praying Drunk Book Launch, Thursday, 2/27, 8 pm, at Pike Place Market. Panel Discussion: “Happy Endings that Don’t Jerk You Around,” with Ian Stansel, Amber Dermont, Danielle Evans, and Rebecca Makkai. Friday, 2/28, 9-10:15 am, Room 202, Western New England annex, 2nd Floor. Book Signing at the Third Place Books table, Book Fair, 11:30am-12:30pm. Book Signing at the Sarabande Books table, Book Fair, 2-3 pm. Late Conversation with Paul Martone taping at Late Night Library booth, 4-5 pm. March 6, 2014, Manchester, NH, New Hampshire Institute of Art, Time TBA. March 10, 2014, Brooklyn, NY, Franklin Park Reading Series: Fifth Anniversary Bash, Franklin Park Bar and Beer Garden, 618 St. John’s Place, between Classon and Franklin Avenues, Crown Heights, Brooklyn, 8-10 pm, with Adam Wilson and Dani Shapiro. 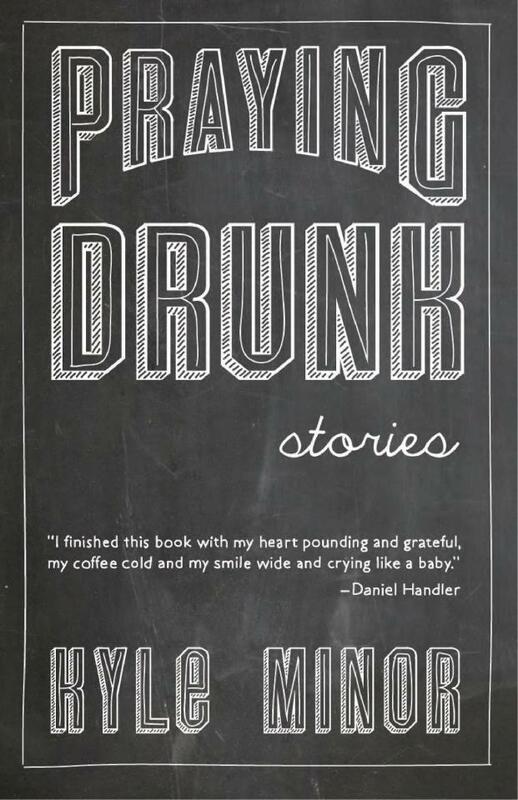 March 11, 2014, Brooklyn, NY, Community Bookstore, OFFICIAL New York City Book Launch for Praying Drunk, in conversation with Jason Diamond, 7 pm. Sponsored by Vol. 1 Brooklyn. March 15, 2014, Los Angeles, CA, Skylight Books, in conversation with Amelia Gray. March 16, 2014, San Diego, CA, San Diego Writers Ink, 2-5 pm workshop. March 17, 2014, Portland, OR, Powell’s City of Books. Smallpressapalooza. Pearl Room, 7:30 pm. March 19, 2014, Ft. Wayne, IN, University of St. Francis, 7 pm. March 20, 2014, Chicago, IL, Roosevelt University, 4:30 Reception & 5 pm Reading at the Gage Gallery, 18 S. Michigan, with Angela Pneuman; 6-8:30 pm Conversation with Suzanne Scanlon’s Nonfiction Workshop. March 21, Marquette, MI (via Skype, from Toledo), Northern Michigan University, 11:30 am. March 25, 2014, Louisville, KY, Carmichael’s, 7 pm. March 27-28, 2014, Arlington, TX, University of Texas-Arlington, 7 pm. April 3, 2014, Iowa City, IA, Mission Creek Festival of Music and the Arts, Prairie Lights, 6 pm, followed by Champagne reception and book signing at the Times Club. April 8, 2014, Indianapolis, IN, Indiana University Purdue University Indianapolis, Q&A with Karen Johnson’s literature class, BS 3012 (Business Bldg. ), Noon. April 10-11, 2014, Washington, DC/Fairfax County, VA, George Mason University, Thursday 7:30 pm reading & Friday workshop with MFA students. April 17, Toledo, OH,with Angela Pneuman, Kodi Scheer, and Ben Stroud, 6 pm. April 18, Ann Arbor, MI, Literati Bookstore, with Ben Stroud, 6:30 pm. Previous First Praying Drunk Review is In!